In writing, we are using RAFTs to help guide our thinking about science topics. Students are taking a role, like being a student, or a geologist, or even a fossil. 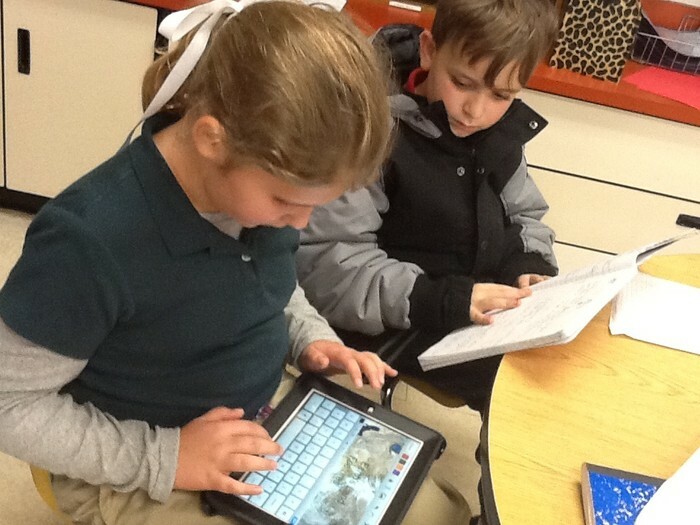 Then, they are writing to a specific audience such as a rock, fossils, or a student. Students are being so creative in their writing. Our focus has really been on using a graphic organizer to prewrite. We are finding it is much easier to write our draft once we have organized all of our main ideas and details. We cannot wait to share these with you! 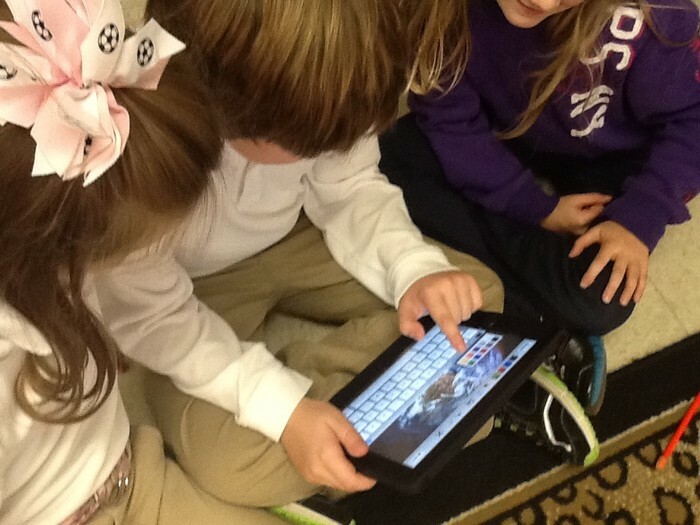 In reading, we are finalizing our iMovie on Nonfiction Text Features. We will be posting it on Edmodo as soon as we finalize it. Soon, we will begin our own research projects, and will create a nonfiction book using the text features we've learned about. We are finding out how important it is to learn our basic facts! These basic facts help us solve larger problems quickly. One of our third grade standards is to add and subtract fluently up to 1,000. In order to do this fluently, we need to master our addition and subtraction facts. Students are also responsible for mastering multiplication facts. Have your student study one fact set a night until they have mastered them. They earn their multiplication license once all of their facts have been mastered. Flash cards, online games, and XtraMath are only a few resources that can be used to learn these. This week, we did something very exciting. 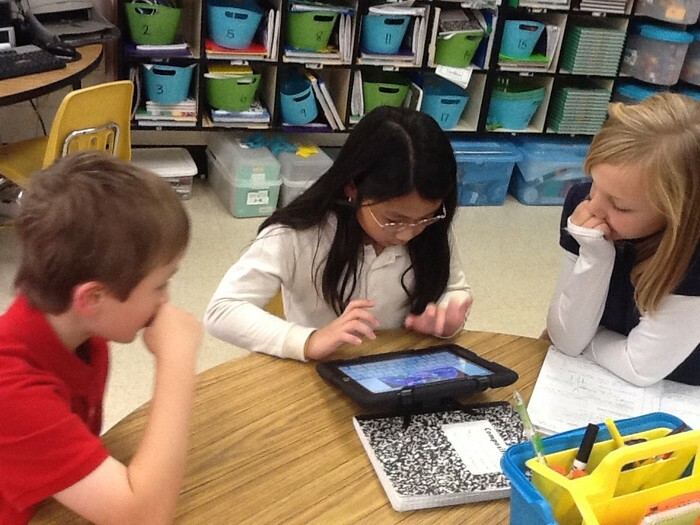 Students had the opportunity to extend learning by rotating through classrooms to concentrate on specific activities. For example, in one classroom, students explored sand samples from all over the world. In another, students watched a real model of erosion and deposition while simulating a flood. The secret word is flood. Some students even got the opportunity to see a landslide! In other classes, students reviewed Land and Water Features, Rocks, Minerals, and Soils. Great learning took place! After assessing contributions made by slaves, and what their daily life was like, students participated in a taxing simulation. Although M&M's (and not real money) were used, students came to realize how it felt to be taxed unfairly. This will lead to discussion about taxation with representation by the King of England.